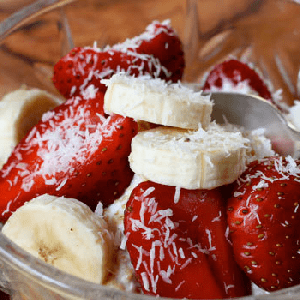 Power up for your workout, or your day, with yogurt and sliced fruit topped with wheat germ and toasted coconut. 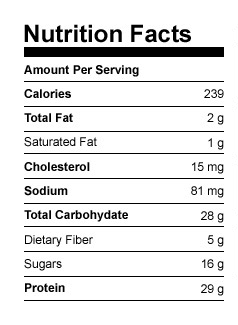 Place yogurt in a medium serving bowl. Top with wheat germ; mix well. 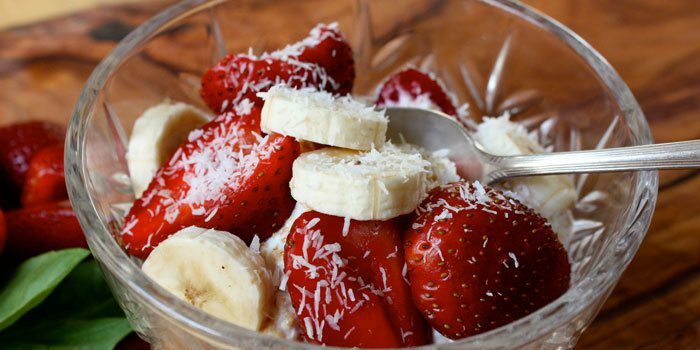 Top with strawberries, banana, and coconut.